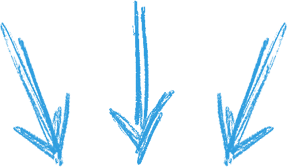 Don't you think that it's finally just about time to crease your leads, your business and ultimately your profits? Are you constantly struggling to get new leads? "Now You Can Finally Start Getting New and Fresh Leads Everyday with Your WordPress Blog So Easily that You Will Laugh!" Subject: Brand new WP Plugin allows you to dramatically increase your leads...regardless of your niche! There's one thing that every offline or online business owner wants: fresh leads every day. In just a few moments I will reveal to you an effective WordPress Plugin that will allow you to create eye and attention-catching pop-ups that will turn almost every visitor into loyal leads. ...Leads that you can market your products or service to. Over the last month I've been intensively developing this plugin. It took me endless months of exhaustive testing and tweaking, but it all was worth it because now this plugin allows me to increase leads in a way that I never thought was possible before. In just a few seconds you install the plugin. ...And dramatically increase your leads. Now, what do I mean with "asking questions"? As marketers, we all know that questions are a really powerful way to engage visitors, so this potent and results-oriented plugin works around that. You see, if you want to have an advantage over your competitors, an exit pop-up is needed. ...Otherwise you are losing leads. Today, I'm offering to you the chance to finally increase your leads in a way that you would have never imagined. 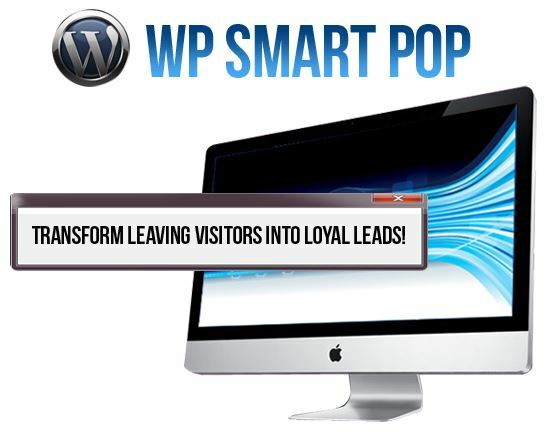 "Smart Pop" is the definitive tool to increase your leads in an effective way. It's simple to use, and within minutes you can have elegant exit-questions pop-ups created. Once the visitor tries to leave, a pop-up will be presented to him and will literally "force" him to pay attention to your question. Uncomplicated, user-friendly admin interface - With just a few clicks of your mouse you will have immediate access to all of the features! You can completely customize the exit pop-up - You can add images, text, taglines, links, descriptions, change background colour, border, font and also customize the "yes" and "no" buttons the way you like. In-depth analytics that will show you how many times the pop-up was viewed as well how your "yes" and "no" buttons were clicked. Analytics are super important because they will show you how your site is performing. Extremely easy to use - Forget about complicated plugins that look like the control panel of a nuclear reactor. "Smart Pop" is really simple to use! If You Truly Wantto See a Positive Impact in Your Offline or Online Business then "Smart Pop" Is Exactly What You Need! "Smart Pop"is the definitive tool in your arsenal. But perhaps you're asking, why is it like this? If your visitors are leaving, it’s because of a reason. They might not like something of your blog, they might run out of time and have to leave...or probably thousands of reasons more. With "Smart Pop"you make them stop in their tracks and force them to see your message or read your question. Questions are a really important marketing technique that’s only goal is to engage to increase the chance of sales, signups or even feedback. I know that if you're reading by now it clearly means that you're interested. And that's a good thing because, seriously, "Smart Pop" can truly help you to increase leads for your business...whatever it is. Now you have the chance to try it for 30 days, risk-free. Just go ahead and download "Smart Pop." Exhaustively try it and see how it can truly increase your leads. And, in the unlikely event that you're not satisfied, all that you have to do is send me an email. Without quibbles or funny businesses. Download Tiger Smart Pop Lite! With Tiger Smart Pop Lite version you will be able to use and test many premium features of the plugin. I promise you that once you start using this useful and wonderful plugin you will start seeing how your leads exponentially grow...makingyour business grow this way as well!